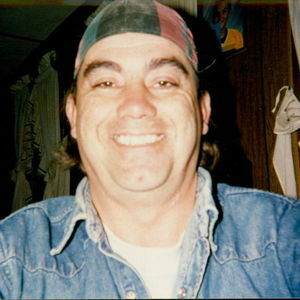 Robin Byrd, 58 of Bladenboro passed away on Monday, February 18, 2019. Robin is preceded in death by his parents, LD and Betty Anderson; his wife Robin Byrd. The family will receive friends on Thursday, February 21, 2019 from 6:00 until 8:00 pm at Bladen-Gaskins Funeral Home. Funeral services will be held on Friday, February 22, 2019 at 2:00 pm at Bethel Holiness Church in Bladenboro with Rev. Aaron Leonard officiating. Burial will follow in Lewis Cemetery in Bladenboro. Robin is survived by his son, Anthony Byrd of the home; two brothers, Jimmy Byrd of Ocean Isle; Larry Anderson of Bladenboro; three sisters, Barbara Byrd of Dublin; Sandra Byrd of Bladenboro; Kim Byrd of CA; one granddaughter, Marley Byrd; many nieces and nephews and special friends, Sherri Hester and Colin Elkins.